Seqirus has announced applications are now open for its 2019-20 ‘Championing Change’ Innovation Practice Nurse Grants. 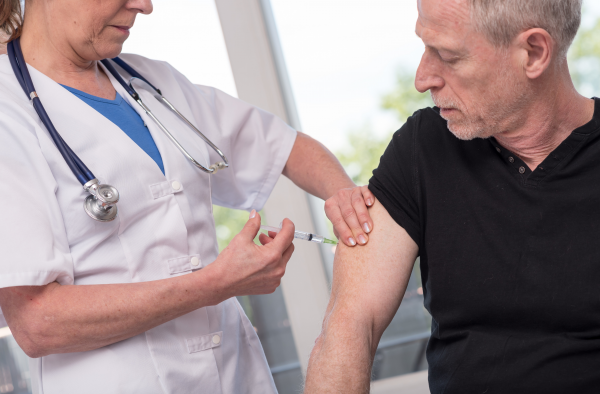 This is the second year of the grants that are designed to recognise and support the role of practice nurses in implementing initiatives to boost the rates of adult immunisation. Three individual grants of $5,000 are available with sponsorship to attend the 2020 Australian Practice Nurses Association (APNA) National Conference, including travel, accommodation and registration. Practice nurses working in GP or immunisation clinics who promote or support patient awareness, timely uptake and compliance with adult vaccines listed on the National Immunisation Program (NIP) Schedule or any state-funded vaccine programs, are eligible to apply for the grants. “As champions for change, Australian practice nurses deserve recognition for the invaluable innovative grassroots work they perform in boosting the community’s immunity against vaccine-preventable diseases," said immunisation consultant, Angela Newbound, who is also a ‘Championing Change’ review panellist. “Seqirus’ ‘Championing Change’ Innovation Grants celebrate and support the important, innovative and often unrecognised work that practice nurses perform, each and every day,” added Ms Newbound. Melbourne-based nurse immuniser, Danielle Siler, was one of three recipients of the inaugural (2018–19) Innovation Grants. Ms Siler works in one of the country's top-10 most disadvantaged communities, in Melbourne's west. Ms Siler’s team implemented a social media and in-clinic initiative that drove an 8 per cent increase in shingles vaccination in just three months. “We initially identified the barriers to boosting our community’s immunity against vaccine-preventable diseases, including; English as a second language, low levels of health literacy, myths surrounding vaccinations and working adult patients’ inability to attend our clinic during standard business hours. “Next we developed a comprehensive campaign to address our identified barriers. The campaign had two elements – a social media campaign that had the ability to reach specific target groups, and in-clinic activities to reach those not on social media and/or with low English language skills,” said Ms Siler. “We ran a Facebook adult vaccination campaign targeting local families and in-clinic vaccination activities targeting non-English speaking patients, the elderly, homeless and refugees. We also utilised translated health materials and picture-based resources. “Importantly, this approach and all of our campaign materials can be tailored to, and replicated by other immunisation clinics or GP practices in Australia,” added Ms Siler. Last year’s grant recipients also included medical centres in Adelaide and Brisbane. Applicants for this year's grants will submit a document outlining their planned innovative initiative. The initiative must be implemented between July and November 2019. In addition to Ms Newbound, the review panel includes Magali De Castro, accredited nurse immuniser, clinical director at HotDoc, and CEO and founder of GHPS Nursing, and GP Dr Sarah Chu. Sign up to receive email updates from HealthDispatch.